In our camp we have a private swimming pool, a cafe, a relaxation zone and WiFi. Camp Surf instructors can help to develop tailored surfing lessons plan for you. Depending on your level and goals you will be traveling to different surf to sports all over Bali or just hit the beach right next to the camp. Camp administrator will help to plan non to surfing activities and will organise everything for you. 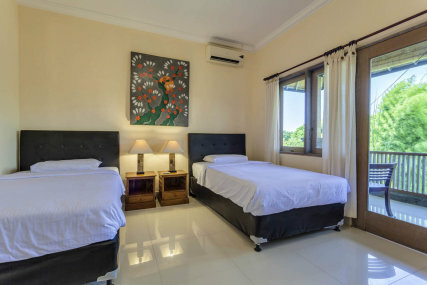 We will help to rent a bike or a car, see classic holiday Bali or take you to the off to beaten track, visit best restaurants and ensure you don't miss anything interesting happening on the magic island. Our surf camp is located in a quiet location in the middle of rice terraces of Canggu, 15 minutes walk to the beach and less crowded surf to spots. Seminyak and Kuta is about 30 to 40 minutes drive from the Camp. Large shared room with large bunk beds. 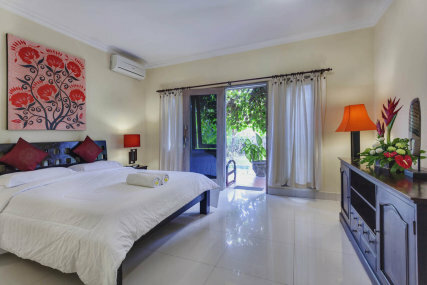 In the room: air conditioner, fridge, private lockers, terrace facing garden and swimming pool, bathroom and shower, toilet. Spacious room with twin beds. In the room: air conditioner, fridge, safe, balcony facing garden and swimming pool, hot water shower. 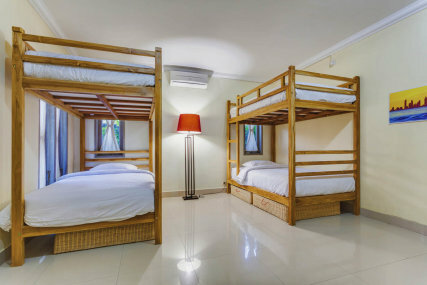 Spacious room with 1 double and 1 single bed can accommodate up to 3 persons. In the room: air conditioner, fridge, safe, terrace facing garden and swimming pool, hot water shower. Surf School Endless Summer is located on Kuta beach - one of the best beaches in the world to learn surfing, right in the centre of the surfing life in Bali. You will learn surfing basics, surfing safety rules, how to pop-up on the board, ride along the wave and perform turns. And if you surfed before, but feel a bit rusty, you can refresh your skills with the help of our experienced instructors. We offer surf courses for beginners, improvers and developers, private and group lessons, so whatever your standard of surfing, we can help. The lesson is 2 hours long: surf-theory, warm-up on land and practice in the water. You instructor will develop individual program depending on your ability and goals, will help to choose appropriate surf equipment and surf-spots. Surf Camp is a small hotel for surfers, where everything you need for full immersion into surfing is included into the daily rate. You will be met by like to minded people, find new friends and will have a great time! 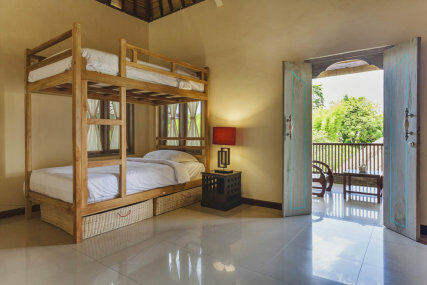 Surf camp is located in a quiet location in the middle of rice terraces of Canggu, close to the beach and less crowded surf to spots.